Before you go to settlement on a new home, you and your builder will “walk through” the house to conduct a final inspection. The walk-through provides an opportunity for you to learn how your new home works and to spot items that need to be corrected or adjusted. When you buy a new appliance or piece of equipment, such as a washing machine, you usually have to read the instructions before you can understand how to use all of the features. With a new house, you will be receiving a stack of instruction booklets all at once. It helps if someone can take the time to show you how to operate all of the kitchen appliances, the heating and cooling systems, the water heater, and other features in the home. Such an orientation is particularly useful considering that when moving into a new home, people often are so busy that they have trouble finding time to read instruction booklets. Learning about maintenance and upkeep responsibilities is very important. Most new homes come with a one-year warranty on workmanship and materials. However, such warranties do not cover problems that develop because of failure to perform required maintenance. Many builders provide a booklet explaining common upkeep responsibilities and how to perform them. Should a warranted problem arise after you move in, the builder is likely to have a set of warranty service procedures to follow. Except in emergencies, requests for service should be in writing. This is not because the builder is trying to be bureaucratic. Rather, it is to ensure that everyone clearly understands the service to be performed. The person receiving a service request is not likely to be the person performing the work, and you don’t want to rely on word of mouth for transmission of your service order. Many builders schedule two visits during the first year — one near the beginning and the other near the end — to make necessary adjustments and to perform work of a non-emergency nature. You should not expect a builder to rush out immediately for a problem such as a nail pop in your drywall. Such problems occur because of the natural settling of the house and are best addressed in one visit near the end of the first year. If you have moved to a new home from a nearby area, you probably will not spend much time at the walk-through talking about the larger community in which the home is located. However, if you are moving to a new community, a builder can often provide a packet of material to help you become acclimated. 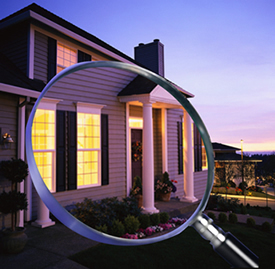 With respect to inspecting the house, an effective way to handle this is with a checklist. The list should include everything that needs attention, and you and your builder should agree to a timetable for repairs. Builders prefer to remedy problems before you move in, because it is easier for them to work in an empty house. Some items may have to be corrected after move-in. For instance, if your walk-through is in the winter, your builder may have to delay landscaping adjustments until spring. It is important that you be very thorough and observant during the walk-through. Carefully examine all surfaces of counters, fixtures, floors and walls for possible damage. Sometimes, disputes arise because a buyer may discover a gouge in a counter top after move-in, and there is no way to prove whether it was caused by the builder’s workers or the buyer’s movers. Never be afraid to appear stupid by asking too many questions. That is how you learn. It is important to view the walk-through as a positive learning experience that will enhance your enjoyment of your home.